Catherine:	So what I’m going to talk to you today about is marketing your business with You Tube. Can everybody see the screen okay and can everybody hear me okay? Sometimes I speak really fast and if I do slow me down. Say I don’t understand what you said, slow down, tell me it again and if I’m speaking too slowly and you’re bored, take a nap and we will wake you up when it’s done, except for Jamie who cannot take a nap. Catherine:	Because you made a comment. Jamie:		It wasn’t me, it wasn’t me. Catherine:	Well we’ll talk ghosts in a little bit. Let’s talk marketing right now. Okay, so I’m sure you know that the videos create an emotional connection. Have you ever watched a TV commercial and out of the blue it made you cry? Well they do that on purpose because they want to have an emotional connection with you, their marketers do. Also videos enhance branding. So everybody knew that Mr. Clean is bald, and how did you know that, because you saw him on TV. If it was just on the radio, you would have never known. We need that visual and now we know Mr. Clean is bald. And videos also have a longer user engagement period then the written word and my example for that is can anybody recall the jingle for Oscar Meyer baloney? Audience:	They start singing the jingle. Catherine:		Perfect, nice job guys. So my point with that pretty much holds true. You know that jingle so videos also you remember watching the commercial and you now know the song, because videos have a longer user engagement period. For several reasons, one repetition, and how many times did you see that commercial as a child? In the instance of You Tube, it is play back. So it is so much easier on You Tube, you saw a video, oh right, I remember and go back and watch it again. So for TV it’s repetitiveness and for You Tube, it’s both repetitiveness and play back. Does anybody have any questions? Two parts, creating video internet content is not only a great way for you to keep track of your work as soapmakers or body care professionals but also allows other people to follow along with you on your journey. So when you have something to say in a written word or a blog, it is a really good place to publish your words but when you have something to show someone, You Tube is the place to go. Let’s look at some stats on You Tube. Did you know You Tube has over a billion users and that would be people watching video content? That’s what it is called. That’s one in every three people that are on the internet, so one in every three of us in here watches videos on You Tube. So let’s put up our hands, has anybody ever watched a video on You Tube? Has anybody ever not watched a video on You Tube? Point taken. You Tube also reaches more the demographics between ages 18 to 49, it reaches more than other cable network in the United States, so more than MTV, more than CNN, more than CNBC, more than ESPN, hard to believe, so that is nearly 44% of the U.S. population watches videos on You Tube. It is mobile friendly, so more than half of the views for each video is through a mobile device. Why a mobile device? Because it is portable. It can go where you go, your cell phone goes. So anytime you want to be entertained or you want to look something up that you have seen before and you want to watch it again, you pull up your phone, you go to  that You Tube map and you can watch it again. So it can be viewed anytime, anywhere. The last stat I was going to show you was that there are over 8,000 partners using You Tube, including major networks, broadcasters, movie studios and record labels. I was trying to think of an example for you, like Late Night? They are rebroadcasting their videos on You Tube that people can watch them at any time they want, they can pause it, they can bring it bring it back. The big guys are using You Tube so why aren’t you. An important of the business of social media market, You Tube is an important part of the social media sweep. So you have Facebook, you have Twitter, you have Instagram. Does anybody have any other social media they are using or they’re on? Pinterest, so I like that as a sweep, it’s a sweep of social marketing, social media marketing and You Tube is just another part of it that you should probably take advantage of. For several reasons, you alone control the content. No one else puts up the video except for you. You decide what you’re going to put up there and you decide what you’re going to show to your users or your viewers. Also, it’s a mean of interacting with users to form strategic alliances. What I mean by that is as you know you have watched a video, you can create a comment underneath the video, like I loved this video, or I have a question like why did you do this? Well that person that put it up, the user, can interact with you and they can tell you why they put it up, they can answer your questions, so it is almost an immediate form of, probably not immediate but it’s close enough to immediate where they will reply to you, probably within 24 hours, so if you have a question. Then it is also user friendly. Anybody has a camera and anybody that has a cell phone has a camera and internet access can create an upload videos and the best part of it is free. So are you interested in me sharing some of the secrets to my success? Question:		How many You Tube followers do you have? Catherine:		I have 70,000, which seems like a lot but in the big scheme of things there is big You Tube power houses that have 4,000,000 subscribers. So I’m really a small guy on the scale but a high guy on the soaping end of the scale. So as far as soap videos, I am the largest minus Bramble Berry that there is watching You Tube videos. How that happened, well I’m going to show you and then a lot of it is a mystery, so maybe you can tell me. I am going to show you what I do to make mine a successful channel. It all began with another You Tube channel called Newt and Fig. Does anybody ever, Amanda. So I made soap, I have been making soap since probably 2003 and right about six years ago, because it has been four years for Soaping 101, so about six years ago I started selling some of my soaps on line through a website and I did it under the name Newt and Fig. Newt and Fig means absolutely nothing, just that I really like fig newtons and I thought it sounded kind of catchy, so I named it Newt and Fig. So I was doing pretty good, okay, on the website but I said, “Well I bet there is another way I can sell my soap and people will buy it and they’ll know who I am and they will be interested in it,” and what was that that was You Tube. So I started making You Tube videos of me making my soap and from that people gained an interest and gained a following and once I made a soap and I cut it I would  release the date when it was available for sale, sold out every time. That is how my  You Tube career began and I’m saying all of this, and Bonnie Garrity, I can’t not say it, but Bonnie Garrity is also a You Tube star and she can probably say everything I’m saying about her company because when you release the video. You get a following and people want the soap. Bonnie:	I started as a hobby and then next thing you know. I didn’t even start my You Tube for soap. I started it for stuff on the farm, building for my birds. Whatever or building stuff for my birds, whatever and then soap and they would say “I want it.”  There you go. Catherine:	You probably all like watching soap videos. We don’t mind making it because we are going to make soap anyhow, so you might as well turn the camera on. So that is how my You Tube career became in existence. So I would make soap and I wouldn’t really always show them how to make soap but I would always to a cutting video and then that came with a lot of questions, “How did you do that, how did you make that soap.”  “I want you to show me how to make that soap because I want to have the same one.”   So this what you’re seeing here is actually a video from Newt and Fig, not the video but a still from the video of a soap that I made on Newt and Fig. I didn’t disclose how I made it because you have to have some secrets. So I didn’t want to give away all my secrets, but I figured I could give away some and so I started another channel four years ago and it was called “Soaping 101”. This soap that you are seeing, is the same technique as this one but it’s a different soap, a little simplified and I showed them how to make this, but I’m not going to show anybody to make that, but I’m willing to show you how to make this. So that is how Soaping 101 came to be. So it is actually the same technique, the same design, two different marketing’s, and two different ways to market it. My point being if you are a soapmaker and you want to sell your soap and people will watch them and people will say, “When is that soap coming out, I want to buy it,” or I would say that is probably entertainment and then there is the educational side which is what Soaping 101 is. Your video, is it going to be entertainment or is it going to be education? Newt and Fig entertainment, Soaping 101 probably education. So is the goal of your channel purely to entertain your viewers, entertainment or is it geared for instruction, education. You really need to decide which it is going to be. If it is entertainment, entertain them, show off your personality. If it is going to be educational, no chit chat, no my dog, my son, my daughter, my cat, people don’t really want to hear that. They just want to know how to make that product, whether it be soap, whether it be woodworking, they don’t need the chit chat, they just want to know what the product is. Now I’m speaking for myself, so everybody has a different way of presenting themselves and if you do it a different way that’s fine,  but I’m telling you what I do and what works for me. So I cut out all the chit chat. Be consistent, so if you plan to create a video, be consistent with your theme. What I mean by that is all my Soaping 101 videos are all shot from the same exact angle. They are very similar in length, they are usually between 5 and 10 minutes and they are always are based on the same subject matter. Soap, nothing else, and I don’t do and it isn’t wrong to do something else but maybe create a different channel for that; so say you do soap, you do a video on soap on a soaping channel, but you also make cabinetry, so mix the two. Make another channel for it, you can have as many channels as you want and they are all free. I think that the two or three items or different subjects would confuse people. So just kind of keep them separated. Now I guess it’s a little different in Bonnie’s situation because she was talking items that she grew on the farm that she used in her soapmaking that makes sense. But if she was just talking about farming and then soaping, that doesn’t really make sense but because she showed the items she grew in the soapmaking, it all came together. So my viewers and I said there are 70,000 have come to recognizing Soaping 101 as its uniformity. Has anybody not watched the Soaping 101? You’ve never watched one? Later on tonight, you to, but they all have the same and you know what I’m explaining it to you, so it’s all in a uniform way. Is it boring, it may be boring but it’s boring to the point where here’s the subject matter, here’s what I want to tell you, no fluff, you got it, we’re out of here. But whatever your style is, that’s my style, yours could be different, so whatever your style is, find it and stick with it, don’t be all over the place, it’s going to confuse everybody. Be accurate and what I mean by that is never wing it with a recipe on screen. I told you that there are billions and billions of viewers on You Tube, so you never know who is going to watch your video. So why do you want to tell them something or make a video and give them a recipe that’s not going to work. You’re just creating danger for someone else you don’t even know. So never wing it, always give accurate measurement, because faulty recipes can cause injury to someone you don’t know and all of my videos are preplanned in advance and the recipe is tested, not once but twice, maybe sometimes three times just to make sure it’s an accurate recipe. What I’m offering to my viewers is something that is going to work for them because there is backlash. If it doesn’t work for them some of you guys might not even be here today, or certainly not a fan of mine. Have I had a recipe that doesn’t work? Absolutely, but as I told you before you have control of what you post on You Tube. So if the receipt doesn’t work, that video is not posted and that recipe is reworked until it does work and that video is posted. I don’t always get it right the first time, but those videos don’t go up. Audience. You should put up bloopers. Catherine:	I know I should have a bloopers. That’s the one I’m going to make, will you watch that one? There are a lot of bloopers, I should make one. Like on my videos I look like I’m really really clean and neat and precise. Oh no, I’m the clumsiest person. We can talk about it editing, I’m a really good editor. If I ever did a recipe I would never put a recipe on that didn’t work but if I ever found one that was dangerous, then I wouldn’t keep that from my viewers, I would let them know. The reason why I didn’t do this one, there is a lot of different processes on the market today of making soap. One of them is one that is called, I don’t want to say what it is called, but one of them is one where you heat up the lye and the oils to like 150o and it’s done with a stick blender 10 minutes on your countertop. People ask me to do a video on that. I don’t think it is safe so I won’t do a video on that. So there is a line that I won’t cross. If I don’t think it’s safe for you to watch my video at home, I’m not going to do a video on it. Does that mean I still won’t make it at my house or my studio, yeah I will still make it but I’m not going to introduce it to you all to make it because I don’t you to be dangerous when you are making soap. So be law abiding. That’s another one of my rules for me. So no the rules and regulations in your state. Be weary of creating content that is known to be illegal in your area. Sure you can create a video about it like I just said at home but be sure you let your viewers know that it is indeed for your personal use. My example for this is breast milk soap and the Naughty Nurse is not here. Is it wrong to make soap with breast milk? I don’t know I don’t know if it is by state by state, but it is not illegal for personal use but it is illegal to sell it. So that would be like a controversial subject. Does it like cross the line with law, it’s very controversial. That’s the example I have on that. Then here is a big one. Be prepared to defend yourself. So if I made a video on something, it’s not wrong to be controversial, in fact it’s good to be controversial, because then people will be talking about you and they will come and watch your video and you want them to do that. That’s why you are putting videos out so people will watch them. But people are going to talk about it, they are going to say like I just talked about the 10 minute hot process soap. People are going to talk about it and not everybody is going to like what you did. So be prepared to defend yourself. If you put something out there, make sure you know what you’re talking about because people are going to ask questions. Bonnie:		You have to have a thick skin. Catherine:		Exactly and you don’t have to respond to them. You don’t want to talk negatively about someone on your video because that video is going to be out there forever. If you have a negativity or a negative remark about someone, keep it to yourself. The age of on-line communication of a pool of individuals that just sit behind their screens and spout out negativity. Don’t be one of them, why would you want to be negative? You’re representing your business, your livelihood and getting a bad reputation is not part of your business strategy. I don’t think it is part of anybody’s business strategy, it is? Also keep in mind that not all comments are made as personal attacks. Take time to read each of them and find a way to learn from the comment. For example, sometimes people will say, “Turn up the volume, I can’t hear it.”  Well they are really not attacking you, they are just saying they can’t hear you, so give them what they want. Turn up the volume the next time. What I mean “Turn up the volume” I just mean turn up the speaker, you know make the speaker louder so they can hear it. They are your viewers, they are your audience, and you need to give your audience what they want. Don’t always take it as a negative because they are not always a negative, they are just asking for something. What Bonnie was saying was that one time she had a video and had background music on it because people kind of like background music in between when you’re not talking, it’s a nice lull and they can kind of follow along, but her music, someone said it was too loud and they couldn’t hear  you over the music. You didn’t take that as a negative, the next time you made sure ---. So give your viewers what they want within reason and if you don’t you won’t have any viewers at all. So put out a quality video. I’m certainly not a professional video photographer. I do my best with what I have to make sure they look good, to make sure they’re lit correctly, make sure they’re focused, which most cameras automatically focus now anyhow. Make sure that they are able to hear me and make sure my videos are long enough that I present all the information but short enough that I’m going to have their interest within 10 minutes. There are some people out there that make soap that like to make videos and make them really really long and whoever does that also has a following of people that really like to watch long videos. Honestly I avoid videos that I can’t see, I can’t hear, it’s too long, I don’t have time for that, just tell me what I need to know. So honestly I avoid those, but maybe you like them. But what I’m here to say is just make your time on screen count and not be avoided. Audience:	Do you edit your own videos? Catherine:	I edit my videos and we are going to get to that. Is that the big question of everyone, edit, edit. It is quick to make a video, 5 - 10 minutes. Just turn it on and make whatever you’re making. It’s anything, mine are usually 5 - 10 minutes, edited down 5 to 10 minutes. The raw footage might be hours long but then it is edited down. It depends on the subject matter to, so if it is just a short short video I’m just  showing you, this is the new product, maybe you should buy it from Essential Depot, that might be like a 2 minute  video, but then if I’m demoing it and there are lots of parts to it, it might be 15 minutes. My videos are within five to ten minutes but it doesn’t mean yours can’t be longer. Bonnie:  It really varies but I do have some that are like long but most of them to the point and short. Catherine:	But the ones that are long, they are long for a reason because you are showing something. Catherine:	That’s totally a different matter when you are filming live. I don’t think I addressed that in here in my presentation today, making live videos, but we can talk about it if you want to. I did it once, once. It was here. I don’t think it’s on anymore. Be prepared it another big one. Before you push that record button be sure you have everything within reach. So I know we are going to edit this out, so later on we can edit the dead air space, but you still want to make sure if I’m filming a video, I want to make sure my stuff is within reach. Some people don’t edit their videos, some don’t know how to edit their videos and that’s fine to, but if I’m making a video and I’m not going to edit it and I’m making soap and I forgot, “Oh hold on, I will be right back,” are you going to be bored watching an empty space, so make sure that you’re prepared and having everything in front of you or nearby you. Look good, this is a big one. You are representing your business and you’re making an impression on that person that’s watching that video, so look good, look like you’re going on a job interview. Take the time, I’m not saying you have to be all maked-up out, but you want to look good. You’re representing your business so if you went to a job interview or you went to a store that’s potentially going to buy your soaps or your products you’re going to dress up, you’re going to look good aren’t you and why would you not look good on video, why would you want to go on video for millions and billions of people to see and have curlers in your hair, unless you’re doing a video for curlers of course. Catherine:	You never see below the waist. Bonnie:	I saw this one soap video and this girl was walking around with pajama pants and bare feet and she had the video really far away …..
Catherine:  And that goes back to safety to, it’s not a very good idea. So if you’re filming from here up, then heck yeah, I mean usually in shorts and then that leads me to what I wear, but we’ll say that in a minute. The point is to look good. So you don’t have to be all made up, but you should look clean, you should have your hair pulled back if long, you should look like a soapmaker. I guess that’s what I’m after. You should look like a soapmaker because that’s what you are on You Tube and if you want people to watch you. Take the time to look good and think of it as your first date. Dress to impress because you only have one chance to make a first impression. So what my You Tube videos, lot of you haven’t seen my face before coming here because I have never shown my face in my You Tube videos. Am I ashamed of what I look like? No, absolutely not, but my videos and what I decided I was going to do for my videos from the start was only to show the product. You see my hands but for me I think it should be all about the subject matter. So I talk but you don’t see my face and I did that for a reason. What am I wearing in my videos, pajama bottoms, and tank top? Do I look good, do I dress to impress, kind of I dress to impress myself. No one is ever going to see me, but if you are going to put your face on then you want to look good. In my video I always wear gloves and goggles, you don’t see the goggles but in my videos you always see my gloves. Do I always wear the gloves and goggles when I’m not making the video, yep absolutely, I never make soap without the gloves and goggles? Be clean. So in addition it kind of goes with look good. So in addition to looking good you want your work surface to look good to. So clean away any clutter. Of course pets and children shouldn’t be in the area. They shouldn’t be on the video. Ask yourself as a viewer if your look at your work space before y our video and I was a viewer would I think this looks dirty? If your answer is yes, keep cleaning and be safe. So you’re showing someone how to work with caustic material, if you’re making soap videos. You want to make sure you used safety as the utmost importance and that it is never more true when you are making soap for all the world to see and don’t take any chances when it comes to safety, pets, children, distractions. Make sure also that your equipment looks good, not only look good but your equipment looks good. So if you have a blender with the cords and the wires are coming out everywhere, that’s definitely not appealing and that’s just danger to happen and you’re showing someone saying oh it’s okay to have something like this because so and so uses it on her video. Well it’s not okay so make sure your equipment in good working order and make sure it looks good as well. Wear your gear, especially in the video. Don’t give away all your trade secrets. I had Newt and Fig and they were asking me to how to make certain soaps. Well I’ll show you how to make this soap this way but I’m not going to tell you how I exactly make this one because I’m making money on that, people are buying that soap from me. So if I showed you how to do it, then people aren’t going to buy my soap potentially, they would buy yours. You don’t have to give away all your secrets, but you should give them something. 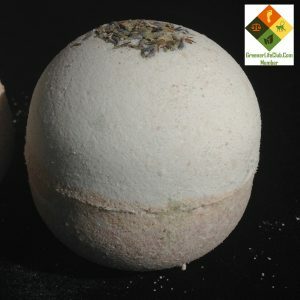 What I find most frustrating is I’m watching a video that and I made a bath bomb as an example and I watch You Tube videos, soaping videos, I’m a fan of Bonnie. I mean I watch them to. I love watching videos. We we’re fans of each other and they’re different. Our channels are different but they both give out good information in just a different way. If you’re making a video, make it a beginning and make it an end. There is nothing like watching a video and not seeing the recipe at the end or the product at the end. Make sure you give them a beginning, a middle and an end. You don’t have to post all the videos. I talked about that earlier. If it doesn’t work out, you don’t have to post it. Only post the videos that look good and professionally represent you professionally and be original. Don’t steal someone else’s idea, no one wants to watch a video that someone else did and you do it your way. Think of good ideas, think of original ideas. So are you interested in me showing you quickly how I create my videos and this includes the editing. Okay, so first come up with an idea. So what I say to myself is what topic can I create a video on. I don’t often create videos that someone has already created a video on, because there is already one out there, they’re going to watch that video, I don’t want to compete, I don’t want to say well I can do it better. I mean there’s overlap on a lot of techniques, but I’m not going to use someone’s technique and then do the same thing. I might take that technique and make it my own. One of the series I have is “Can you soap with it”. So I have done fresh cut grass, I’ve done watermelon, maybe you guys have seen it. So today later on this afternoon, we are going to make “So you can soap with it” with a secret ingredient. So come up with an idea and then create a story board. What the story board is nothing more than what the problem is, what are the important events and what the resolution is. The problems how to make xyz soap”, the important events, the ingredients, the setup and the technique, the resolution the finished video and cutting of the soap. Testing, I’ve told you before, not once, not twice, but three times sometimes four I test the receipt, I test the process of making it before I film it. So then you prepare and you film and anybody with a camera, anybody with a phone can film, you don’t have to have fancy filming equipment, and then edit, edit, edit, edit. So I have an HD, it’s a Nikon HD, actual video camera, but you can just use a cell phone, you can use sometimes your computer has a video on it. Brandy and I were talking about that last night so I was going to talk to you about it today. So edit, what do I use, I use a program called “Power Director”. It is an expensive one, you don’t have to get it. You Tube has a video editing software that is free. So you can upload your video to You Tube and then it allows you. Bonnie have you used it? Bonnie	I have used only certain features, but I don’t think I have really gotten into it yet. Catherin:  But if you are a beginner, it’s a good way to do it and they offer that free. You just upload your video and then right after its uploaded, you can edit, like cut certain things out and then there is Microsoft, if you have Microsoft, they have Movie Maker and that’s free and that good video editing. So if you do a google search for video editing, there are a lot of free ones that come up. But what I use is Power Drafter, that’s what it’s called. I always do a voice over because I usually have music loud in the background when I’m making soap. It is usually 80’s music. So I usually have really loud music playing in the background, like Hair Bands. So no one wants to hear that except for me. I completely take out the background, I put in a soft nice a little background music and then I have a script that I read from and I do overlay voice. Editing you can also remove dead air space in the back, remember, how I went and got my stuff and then I came back. Well I might do that while I’m filming my videos because I can edit that part out so it looks seamless, looks like I’m here the whole time. What else can it do for you, you can fast forward through m monotonous times, it can do a voice over and then you can add your own flare to it. You can add your own music to it, you can add little pictures sometimes, and you can add, of course, titles. You can make it your own. Power Director or any video editing software really and then export it to You Tube. My question to you is so whether it is for the purpose of selling your soap, which is really a great way to sell your soap for a history for you to keep track of the soaps you make, you can go back and watch your own videos, or whether it’s a purpose of educating other people on how to make soap, which I would love someone else to make another You Tube start. So will it be you, because I know I’ll be watching. Are there any questions that maybe I can answer? And if you want me to show you where I bought my Power Director I would be happy to show you how I do it. I will also show you what camera I use. If you just want to make videos to show your business as a soapmaker and get people interested in you and you can recommend they go buy your soap on your website, it is your video, say whatever you want to say. It’s a great way to get your name out there, to get yourself out there and to get people to maybe buy some of your soap.